After eating at Golden West Cafe, my friends and I came here for dessert. Upon arriving, I tasted two flavors: Old Bay Caramel and Salty Caramel. From what I tasted, I found the Old Bay Caramel wasn't bad and the Salty Caramel was delicious. 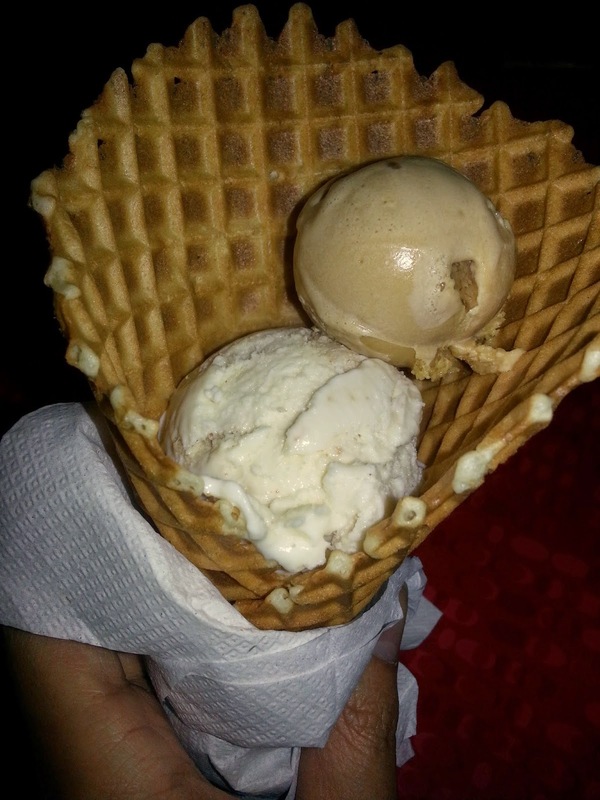 From this I ordered a kiddie-sized scoop of Cheesecake and a baby-sized scoop of Salty Caramel in a waffle cone. Both the Cheesecake and Salty Caramel tasted good. While the Old Bay Caramel tasted interesting, I don't think I could eat a baby-sized amount of it!